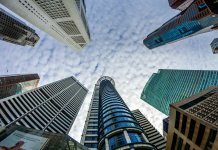 According to American Media Company, US News and World Report, the Philippines is currently the best nation for investors. In 2017, foreign direct investments recorded an all-time high of $10 billion in total, up by 21.4% from 2016.
Business start-ups, including telecom providers, also have an advantage in the country, as it is among the top 20 countries where it’s best to start a business. These rankings are attributed to the continuing improvement of the economy as compared to other countries in the region. GDP also surged to $313 billion in 2017, and a large chunk of that is thanks to the overseas worker remittances, the growth of the Business Process Outsourcing sector, and flourishing tourism industry. The abundant resources and reliable local and international trade are enough incentives for investors to take a chance on the Philippine market. It also helps that the government has massive plans to upgrade the infrastructure, including additional roads that will connect far-flung destinations to national roads for easy transportation. If you’re looking for an industry which can guarantee high returns for your investments, Philippine tourism is the way to go. In 2017, the Department of Tourism recorded a number of 6,620,908 international tourists coming into the country, which surpassed their target of 6.5 million and is an 11% growth from the previous year’s figures. In addition, the United Nations World Tourism Organization’s World Tourism Barometer found that this growth rate exceeded the average tourism growth for Asia and the Pacific (6%) and Southeast Asia (8%). South Koreans were the most significant tourist market that year with a 24.28% share. Rounding out the top five were China (14.63%), the United States (14.47%), Japan (8.82%), and Australia (3.92%). Foreign investors who are looking to take advantage of the Philippines’ solid tourism industry can look into the following opportunities. 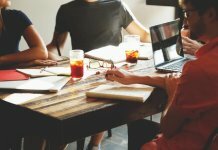 There may already be some hotels and resorts in the top tourist destinations, but there are still locations that are not as popular but can benefit immensely from the hospitality industry. Like hotels, there are also quite a few transport companies that specialize in land and sea transportation. However, air transport service outside of big names like Philippine Airlines and Cebu Pacific is yet to grow. Some land developers have started rising condominiums and other living structures for those who would want to live permanently on the country’s top tourist destinations. Many of the tourist spots in the Philippines also serve historical and cultural significance. Integrating these into tours will help educate visitors about how important history and culture are to Filipinos. Filipinos are very proud of their heritage when it comes to food, so investing on a restaurant targeted towards tourists and serving heirloom or Filipino recipes can be a fruitful move. There are a lot of activities tourists can participate on in different destinations, like SCUBA diving, parasailing, trailing, mountain climbing, surfing, and wakeboarding. Tourism is a chance for businesses to promote their products—especially those that are proudly Filipino-made—to a worldwide audience. Despite the good news though, it is a matter of fact that the Philippines is still behind its SEA neighbors when it comes to tourism. For instance, Thailand attracted 33 million foreign visitors and Malaysia 27 million in 2016, according to a study by CLSA-Hong Kong. However, it may also be because, compared to these SEA nations, tourism in the Philippines is still in its early stages. Therefore, there’s still plenty of room to grow. CLSA expects a 16% annual increase in international tourist arrivals for the next six years. 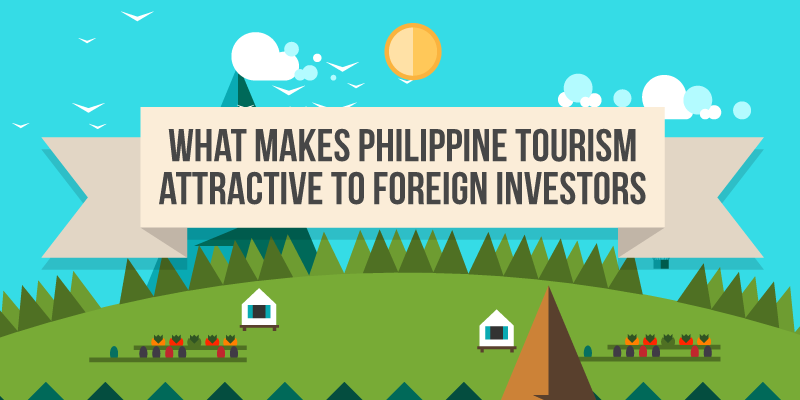 Learn more about how investing in tourism can boost the Philippine economy in the infographic below.